I was the production designer and builder for Illyrias national tour of The Sorcerers Apprentice. From the initial sketches to the final built production scenery, I was the creative at every stage. 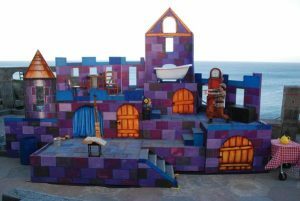 I built the staging, that had to collapse every day and be rebuilt every day, i worked on the illusions under the guidance of magician Paul Daniel and i designed and built all the masks and puppets.